Apply scientific principles and practices of infection control and oversee medical and ancillary personnel for whom you are responsible. Use appropriate techniques to reduce the opportunity for patient and healthcare worker exposure to potentially infectious material in all healthcare settings. Respond to potential infectious exposures and disease outbreaks that occur in healthcare settings. 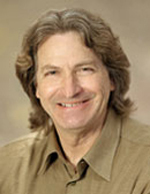 Stephen A. Klotz, MD is Professor of Medicine and Director of the Fellowship Program, Section of Infectious Diseases, University of Arizona School of Medicine and the Southern Arizona Veterans Affairs Health Care System, Tucson, Arizona. He is the Director of the Special Immunology Program (HIV) at the university. He maintains an active laboratory studying the molecular interactions of Candida albicans with human proteins and cells. Disclosure: Dr. Klotz states that he does not have any financial arrangements that could constitute a conflict of interest. Mary Bevan, RN, MS, CIC is an Infection Preventionist at Montefiore Medical Center, the University Hospital and Academic Center for the Albert Einstein College of Medicine in the Bronx, New York. 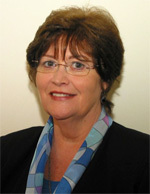 She has been an Infection Control practitioner since 2001 and has been certified in Infection Control since 2003. Ms. Bevan has presented several abstracts on Infection Control and Prevention topics at national conferences. Disclosure: Ms. Bevan states that she does not have any financial arrangements that could constitute a conflict of interest. John Harris Jr., MD, MBA is is past Executive Director of the Office of CME at the University of Arizona College of Medicine. Dr. Harris has served as the Principal Investigator on multiple NIH-funded studies of online CME, and he is the author of a number of professional papers dealing with online CME. This was excellent, succinct, realistic case based learning. Excellent course. Good scenarios that were very real. Very excelent because of all the links you could visit so simply, quickly and efficiently.